Because I said so! That was what Ahab thought should get him what he wanted. I’m the king, so give me what I want. When we think that our will is what matters, trouble is just ahead. Just because someone wants it to be a certain way, does not make it right. If a person commands authority, this does not necessarily make her demands moral, ethical, or even honorable. Kings and queens and presidents are not the final word on reason and right. Indeed, the dictates of an entire culture do not stamp a matter with divine approval. How could cultural opinions be right when they change so frequently? Oh my, yes. Like Jezebel, we have written our own text—and everyone had better toe the line. 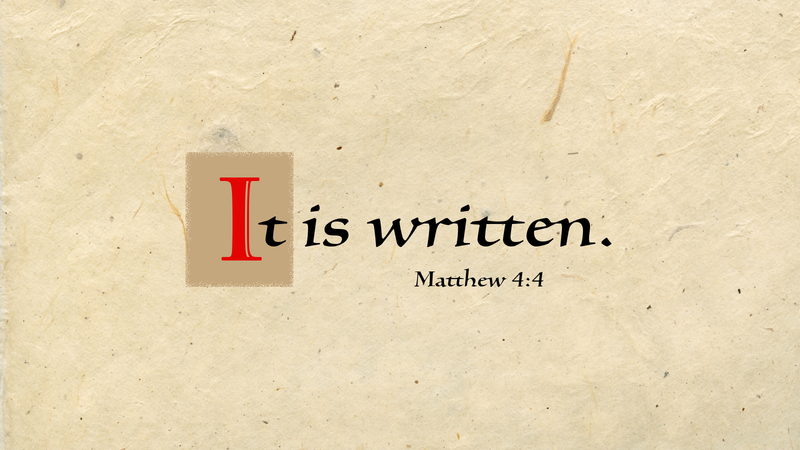 Yet, though the whole world impose its will, the will of God is what will ultimately matter. And so, God’s will matters most each day. Having the Word of God as our highest authority, Sola Scriptura being our constant banner, we ought never collapse under the weight of culture, tradition, or human authorities. Prayer: Thy will be done, Lord. Amen. Thank you Pastor Mark. Everything needs to be weighed against the scriptures. We have all fallen short, and will continue to do so. But, when man,and yes even some pastors, raise themselves up and squash any advice from others, they are acting as Jezebel. Even in our own personal lives, we need to continually weigh our decisions against God’s holy word. Yes, Pastor, today we have been become more materialistic and accepting ways that others believe. Wholeheartly, we need to have a complete change-around and follow the Lord Jesus Christ. We have a wonderful brain that God gave us. Let’s use it to the utmost.